The giant sea bass is one of the most striking inhabitants of southern California’s coastal marine areas, but an important part of its life cycle has been poorly understood — because no one knew where baby giant sea bass spent most of their time. CSUN marine biologists have finally changed that with extensive surveys of the fish’s habitats along the coast near Los Angeles. They report their results in a new paper in the journal Copeia. 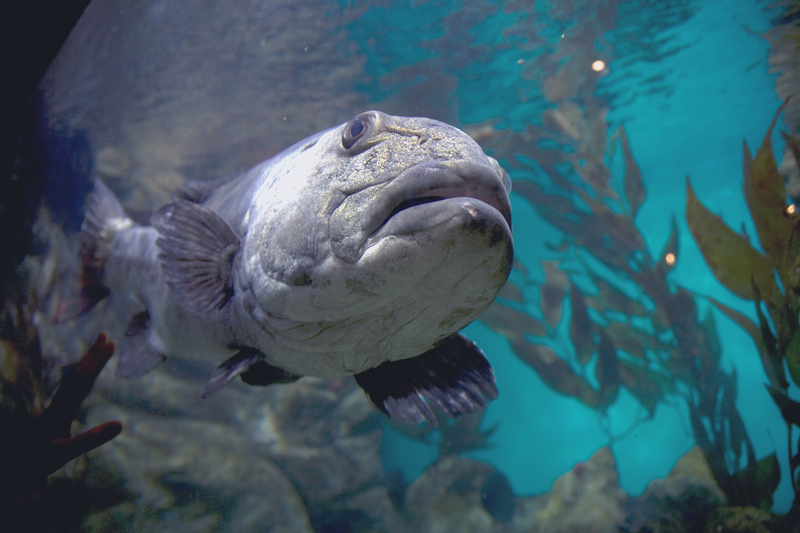 Although giant sea bass (as the name implies) grows to impressive sizes — more than 800 pounds — over lifespans approaching a century, in their first years they are just a few inches long and variable in color. Spotting such “young of the year” in the wild takes a lot of searching. Over three years, Biology Master’s student Stephanie Benseman, advised by Professor Larry Allen, surveyed for the youngest giant sea bass in likely “nursery” sites, laying out 150 transects at varying depths, which were surveyed by SCUBA divers wearing portable waterproof cameras. Benseman recorded latitude and longitude coordinates for every juvenile giant spotted, and developed a general picture of how the fish use habitat as they grow. Benseman and Allen’s full paper is available online at the Copeia website, and a commentary about it has been published in the Ecological Society of Amercia journal The Scientific Naturalist.